Matrix in Your Terminal is Cool! 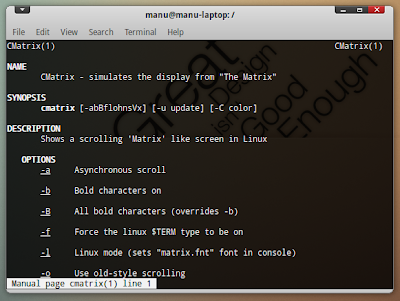 If you like playing around with your Terminal, you will love this cute little program that can create a small Matrix style animation in your Terminal. The screenshot above can give you a better idea. The program is called cmatrix. And it is available in the Ubuntu repos by default. 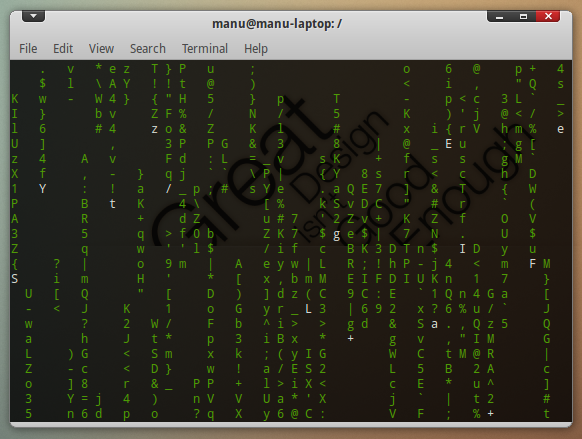 Now, open Terminal and run "cmatrix". Its quite cool IMO. Do take a loot at the man page also to know the small yet different configurations available with the program.